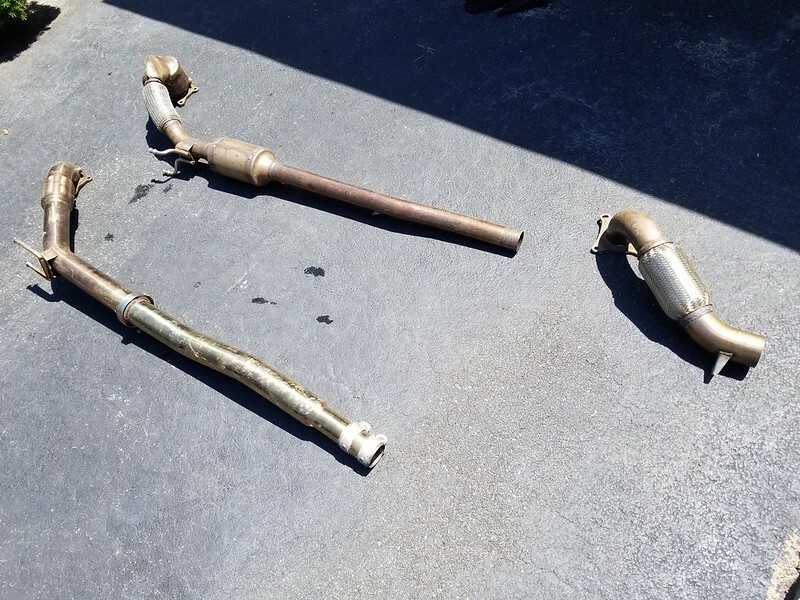 Got a couple downpipes for sale. Looking to sell the stock one local, willing to ship the APR. Top is OEM (CCTA), only used for about 10,000 miles. Looking for $100 cash. 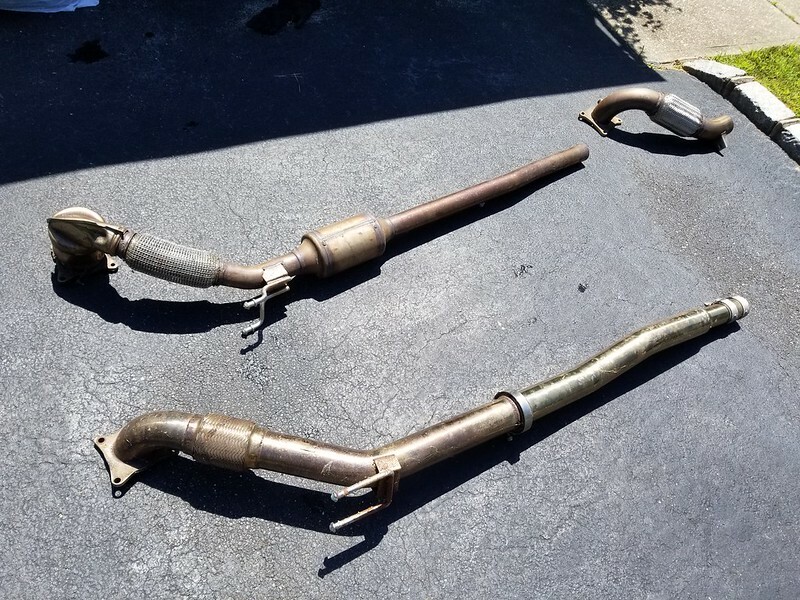 On the right is the older style APR downpipe (no midpipe). Looking for $150 cash. Last edited by P1NDLESK1N; 04-09-2019 at 01:41 AM. DP are awesome. this a steal people ! Are the APR and Raceland catless? Yeah. Raceland is catless, and the APR is catless because it's the downpipe only, no midpipe. Could I mat the April one up to the stock mid pipe without welding? You could cut the stock one and use a reducer with some slip clamps I suppose.